Successful design often caters to a variety of needs and sometimes that need is simply to inspire new thoughts or spark conversation – designs that make you stop, take a second look, draw you in, and perhaps even think about the world a little differently. 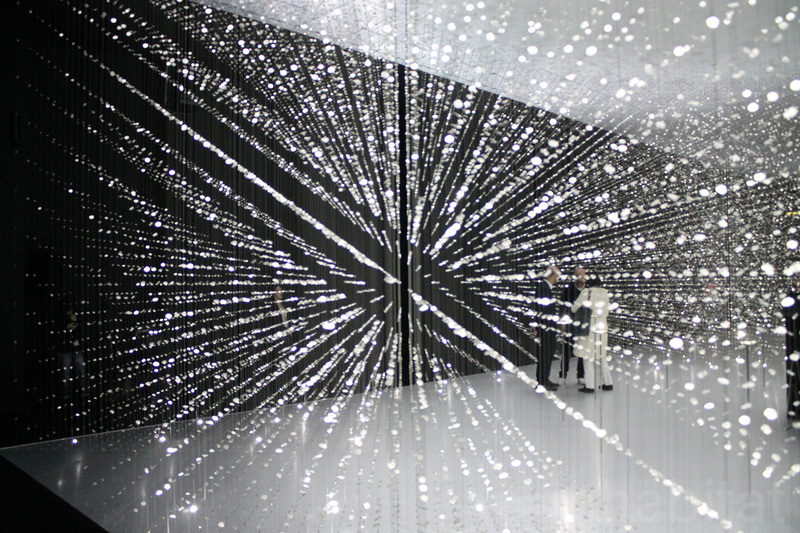 Many of the designs that we spotted at Milan Design Week did exactly that– from one devastating representation of the last four years in Syria, to a stunning chandelier that imagines a world thousands of years in the future—these profoundly imagined designs take you beyond the every day. This ‘I am a Monument’ wardrobe by the Chinese designer Naihan Li at La Triennale, Milan looks just like Rem Koolhaas’s CCTV building in Beijing. The origin of this project starts from Naihan’s recognition of the Chinese desire for giant art installations in their homes. 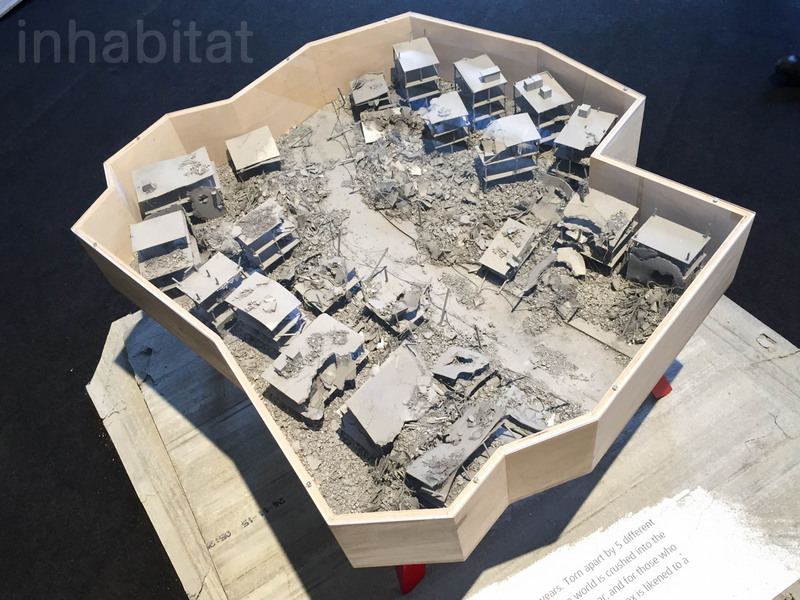 Halab is Gone is a beautiful, devastating new table by Ezri Tarazi. The base contains a model of the city of Halab (Aleppo) in Syria, destroyed and turned to dust by 4 years of war. Ezri Tarazi‘s Excavations table references the archaeological sites in and around Jerusalem. Made of birch plywood, with metal legs and a plexi top, the table evokes a dystopian future of a city abandoned after being thoroughly excavated. 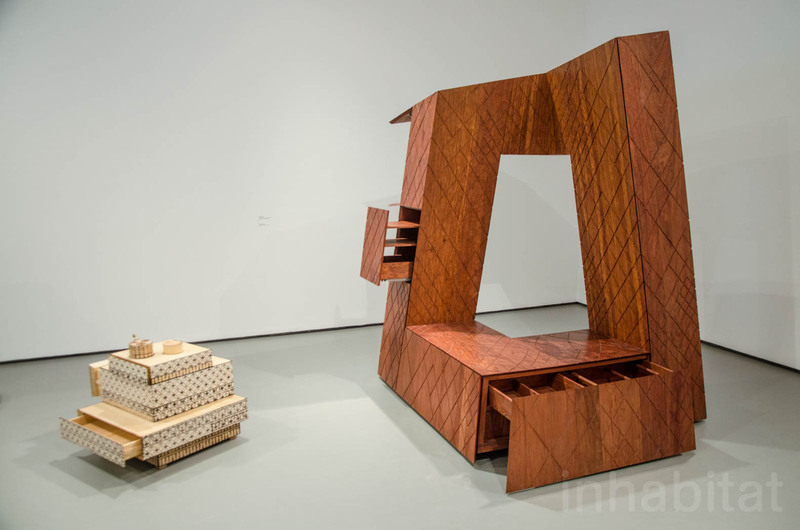 Naihan Li shrinks iconic architectural landmarks into tiny furniture made of wood. This ‘Birmingham Library’ side table, inspired by its striking UK namesake, is now on display at La Triennale, Milan. The Warm me up Scottie chair by Hanneke De Leeuw will warm you up in winter times and was designed to help stimulate circulation and relax the muscles. 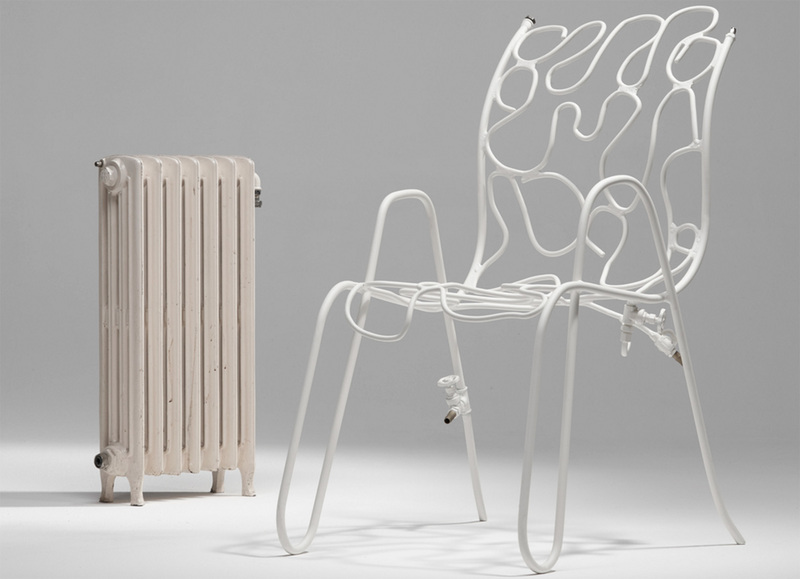 The chair draws inspiration from a hot water bottle, but was designed to address larger areas and can be hooked up to a radiator via three small taps. MOSSMANIA brings the outdoors in with this table featuring springy ‘Nordic moss’ (a type of lichen). The Finnish sourced lichen is stabilized with a natural preservative then dried, keeping it fresh, soft, and pliable. To showcase his new ‘Optical’ lighting collection, designer Lee Broom created a mini palazzo inside a delivery van, which he drove from London to Milan for his Salone del Automobile exhibition. The spherical lamps come in both floor and pendant models and display optical-illusion inducing black stripes against an illuminated background. Atelier Mark Sturkenboom explores “hyperevolution” in ‘Overgrown’, with crystallized chandeliers and candlesticks that imagine an abandoned, flooded world thousands of years in the future. 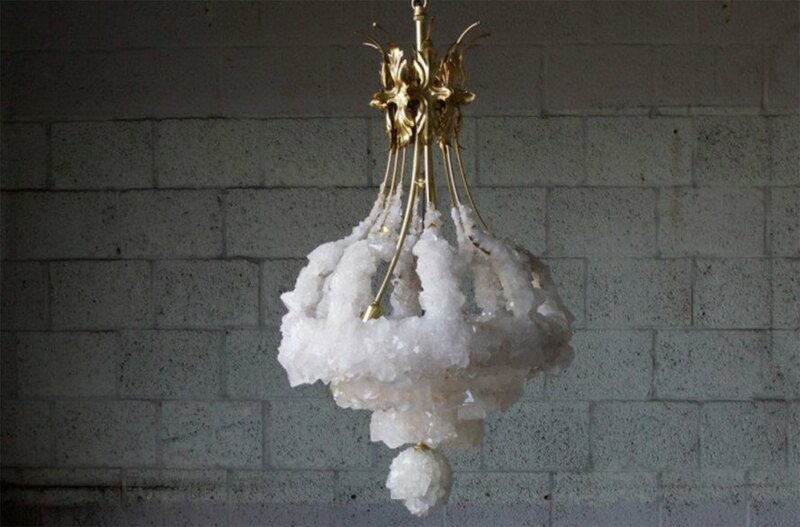 Sturkenboom developped a unique fluid to facilitate crystal growth on reclaimed antique lighting fixtures, producing a collection of one-of-a-kind relics that recall a different time and place. This “I am a Monument” wardrobe by the Chinese designer Naihan Li at La Triennale, Milan looks just like Rem Koolhaas's CCTV building in Beijing. The origin of this project starts from Naihan’s recognition of the Chinese desire for giant art installations in their homes. 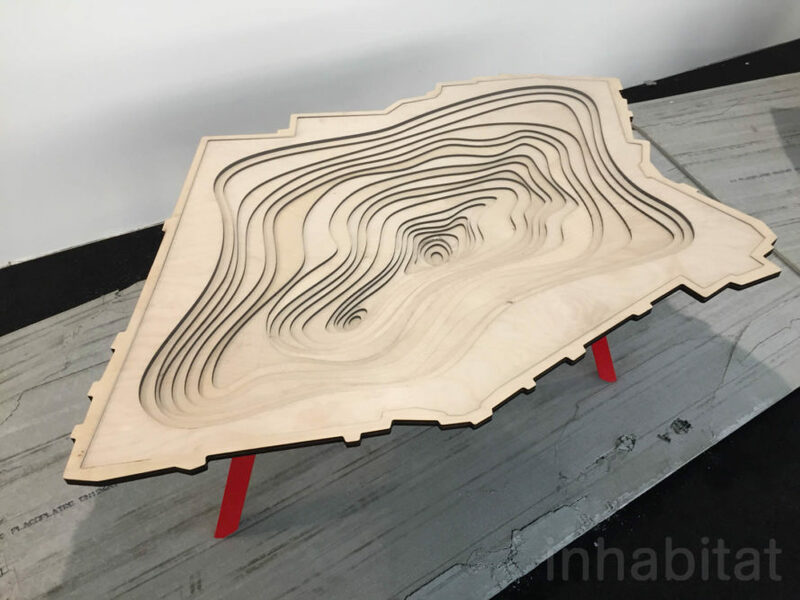 Ezri Tarazi's Excavations table references the archaeological sites in and around Jerusalem. Made of birch plywood, with metal legs and a plexi top, the table evokes a dystopian future of a city abandoned after being thoroughly excavated. 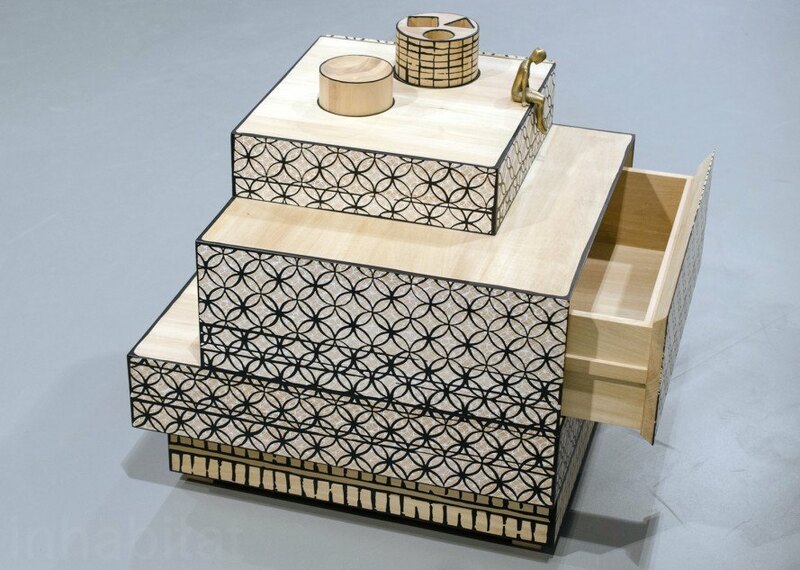 Naihan Li shrinks iconic architectural landmarks into tiny furniture made of wood. This "Birmingham Library" side table, inspired by its striking UK namesake, is now on display at La Triennale, Milan. 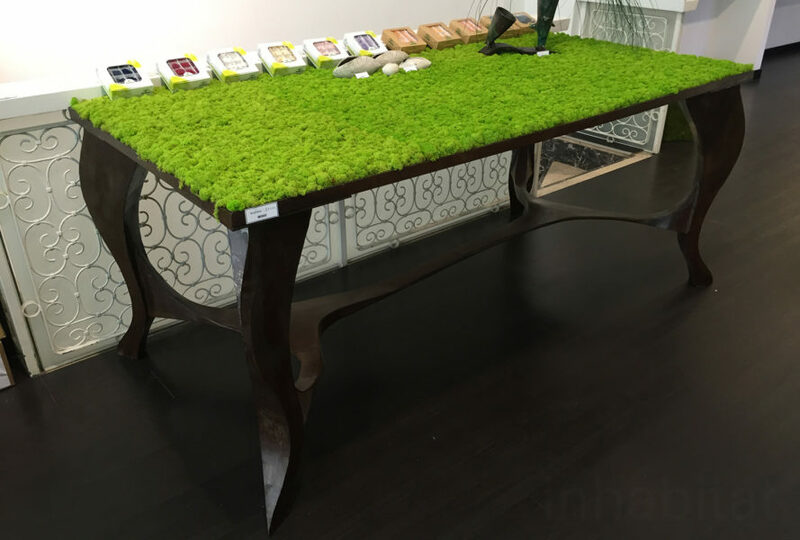 MOSSMANIA brings the outdoors in with this table featuring springy "Nordic moss" (a type of lichen). The Finnish sourced lichen is stabilized with a natural preservative then dried, keeping it fresh, soft, and pliable. To showcase his new “Optical” lighting collection, designer Lee Broom created a mini palazzo inside a delivery van, which he drove from London to Milan for his Salone del Automobile exhibition. 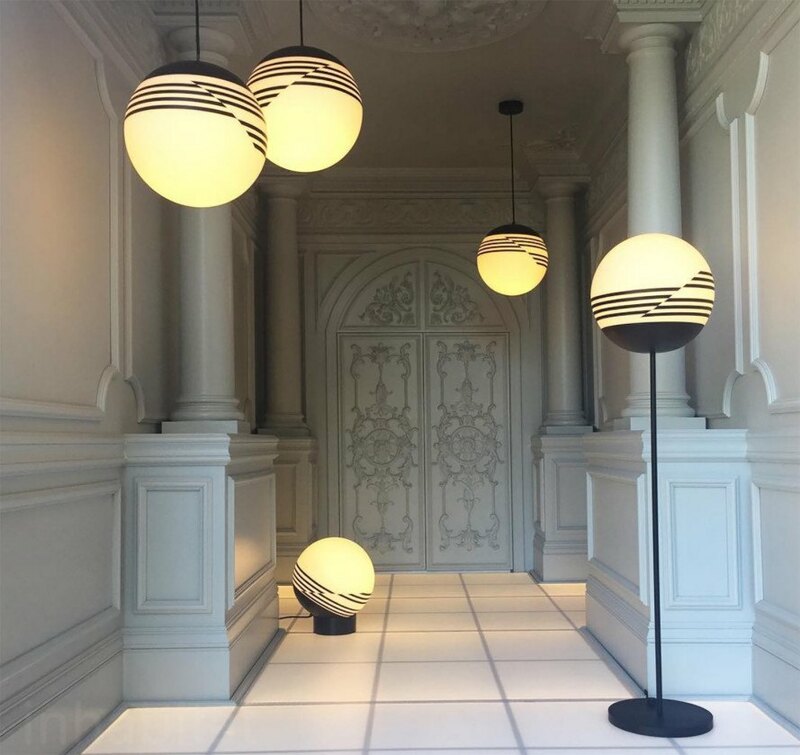 The spherical lamps come in both floor and pendant models and display optical-illusion inducing black stripes against an illuminated background.